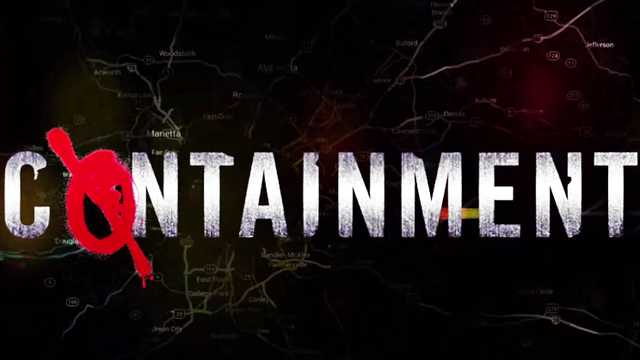 CW’s new series “Containment” is filming the first season in Atlanta and casting for small roles. Extras casting directors are looking to bast some “big dudes” to fill a few featured roles in scenes filming next week. Specifically, casting large built / muscular men with an intimidating look. All ethnicities are welcome to apply and the age range is 32 to 45. These roles do require an in person interview / audition which will be held in Atlanta. See notice below for more specifics. The show, set to premiere on the CW Network this fall, takes a look at what may happen if a deadly virus was to hit a heavily populated area in a major city. The show is set in Atlanta where an unknown virus hits an urban area. Authorities scramble to contain the outbreak by creating a quarantine zone leaving those stuck inside the quarantine fighting for their lives and on their own. “Containment” takes a look at what happens when loved ones are torn apart and the unlikely heroes that arise out of tragedy. “Containment” is based on the European show “Cordon” and comes from from “The Vampire Diaries” creator, Julie Plec. “Containment” is written by Julie Plec and directed by David Nutter. According to the show’s Wiki page, Starring in “Containment” are David Gyasi, Christina Moses, Chris Wood, Kristen Gutoskie, Claudia Black, George Young, Hanna Mangan Lawrence and Trevor St. John. CONTAINMENT (PLEASE READ CAREFULLY) is looking for Muscular/Large Built men for a FEATURED role that shoots August 13th in Atlanta, Georgia. Must be available to meet with our Producer tomorrow, Thursday, August 6th at 10:30am. Please see below for breakdown…. Featured rate is $125/8;overtime after 8hrs.